It’s not a party without entertainment! 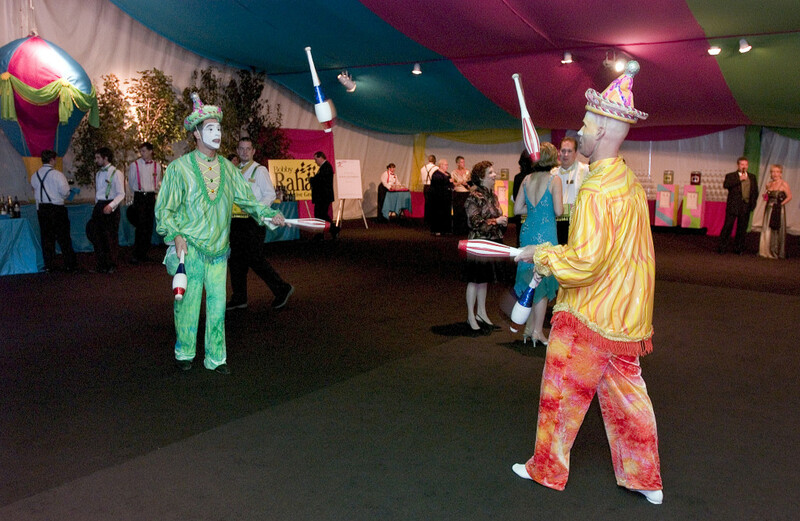 Whether you are hosting a corporate party, meeting, non profit event or holiday party, having fun and unique entertainment for guests is important. 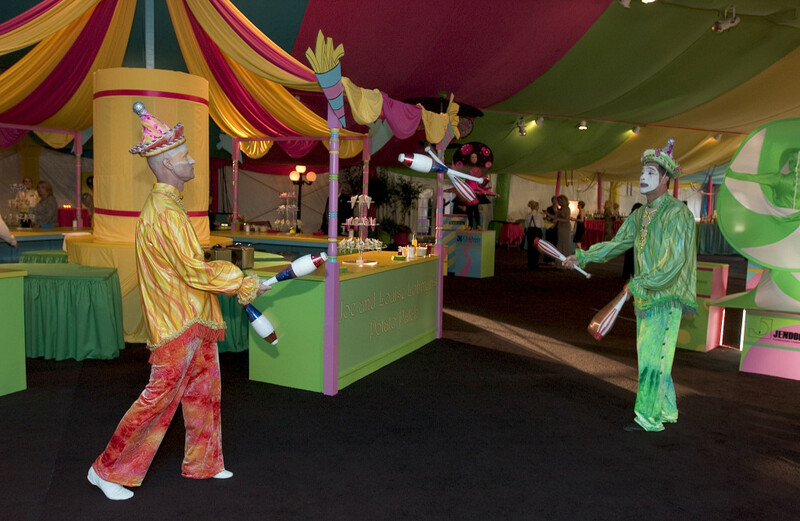 Entertainment can take your party or event to the next level. Amazing sights and sounds are what guests continue to talk about days, weeks, months and if you’re lucky, even years after the party has ended! Above are some photos from a non profit event we helped to coordinate. 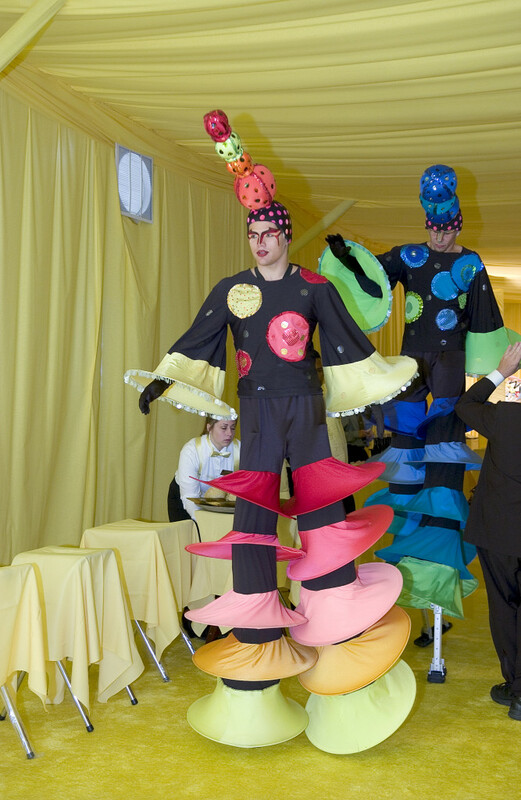 The theme was ‘A Fair to Remember’ and had vibrantly dressed characters floating around the event to entertain the guests. This was a huge hit and made cocktail hour a big success! 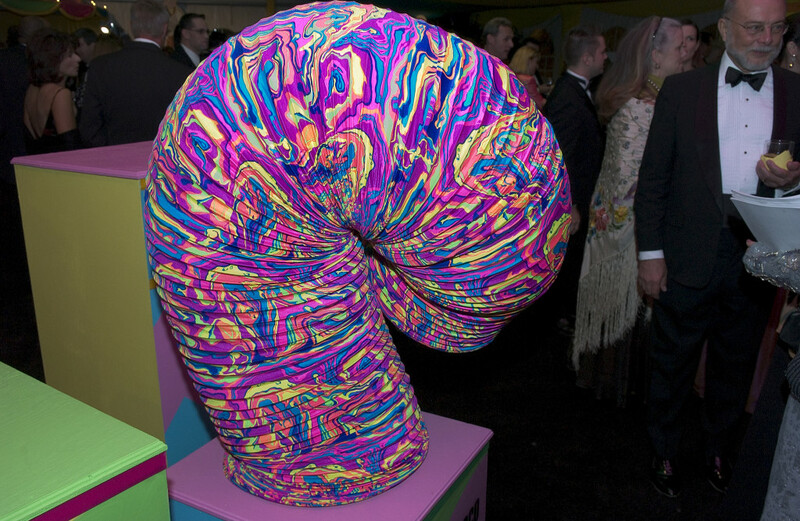 We are always keeping an eye out for fabulous entertainers and unique ideas. 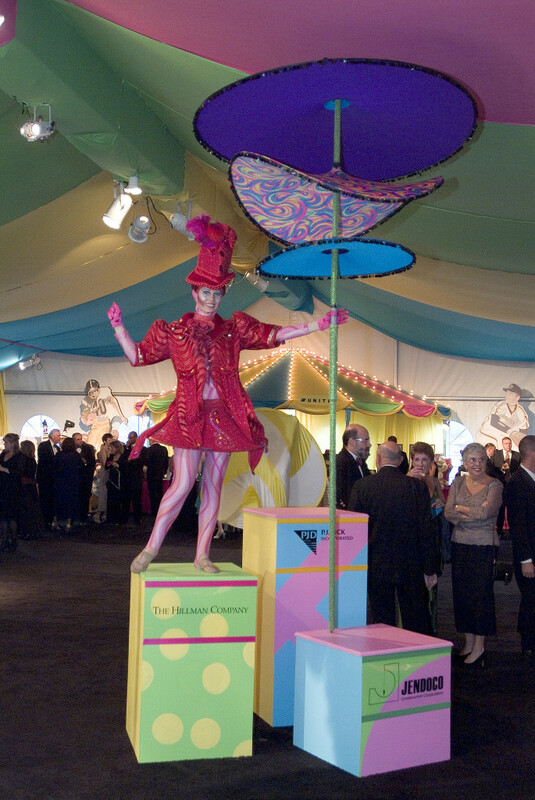 When we find something great, we are sure to pin it to our Unique Event Entertainment board. 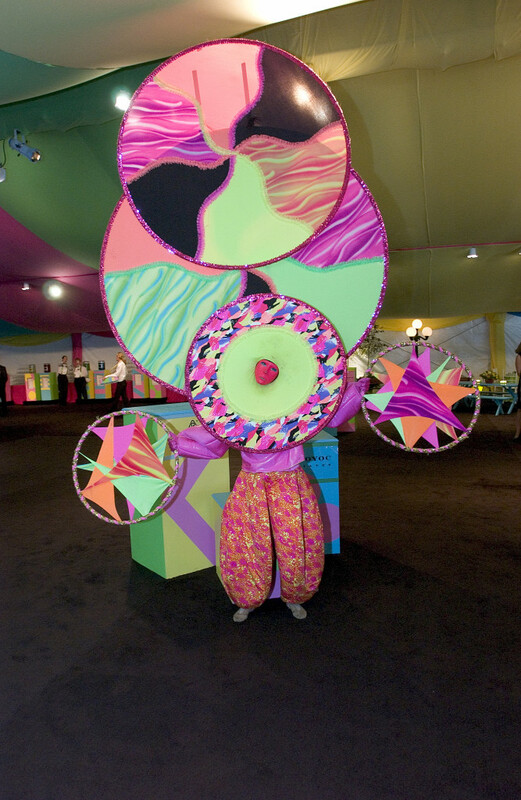 Here are some fun ideas that we have found to inspire you for your next event! 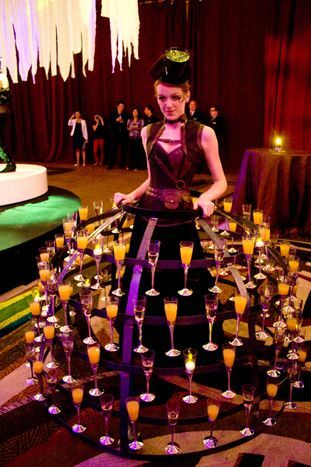 Something like this would be a fun and surprising addition to a cocktail hour. It’s a perfect way to highlight a signature cocktail. Electronic Dance Music has really caught on in the recent years. 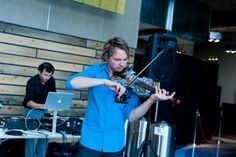 Have an electric violinist at your next party or event and you will have guests dancing in no time! A pool can often be the center of the party– don’t let the space go unused. These amazing acrobats WOW-ed guests as they enjoyed cocktails. To see more fun entertainment ideas, be sure to check us out on Pinterest! Woo. Nice post. Thanks for sharing. keep Up. My need some tips – Creative Entertainment Ideas. Can you tell me? The Event Group blog is your place to find the latest and most inspired tips and trends in event planning. Along with sharing our insider information, we will also be featuring our very talented colleagues within the industry as guest bloggers for a more in-depth look at the many facets of event planning. We welcome you to share your thoughts, event ideas and inspiration with us. We hope you enjoy exploring our events as much as we enjoy planning them! Sheila Weiner, a lawyer by education, has been producing special events for the past 25 years. She is a valuable resource to the event community, appearing on talk shows and at live engagements to discuss various aspects of event planning.